Exclusive Gowns for Relay for Life! | ! *PurpleMoon Creations* ! 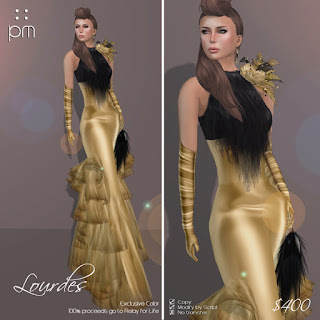 These exclusive editions of the Elwing gown and Lourdes gown are being offered only at SL's Christmas Expo 2012. 100% of the proceeds go to Relay for Life. Once again, we are very proud of being one of the sponsors of the event and we hope you stop by for a visit! These gowns will never be sold again after the event, don't miss them! Event runs from Dec 6th to Dec 19th!